We will begin with a basic population model, in which some population will grow over time. In this model we will use a stock to represent the number of individuals at any given time, and two flows to represent change in that stock: one for births, and one for deaths. We will use terms to describe the rates of births and deaths in these populations. Open the component palette by clicking on the toolbar. Click the stock icon on the component palette. Click on the middle of the canvas to place the stock. Enter in ‘Population’ for the stock name. Click on the flow icon on the component palette. Click on the canvas to the left of the Population stock to place the tap. Enter in ‘Births’ for the flow name. Grab the cloud symbol at the hollow end of the flow and drag it on top of the stock until it ‘sticks’. Click on the flow icon again on the components palette. Click on the flow to the right of the Population stock to place the drain. Enter in ‘Deaths’ for the flow name. Click the term icon on the component palette. Click above the Births tap on the canvas to place the term. Enter in ‘birth rate’ for the term name. Now, we want to set Births=Population*birth_rate. But before we can do this, we need to connect both birth_rate and Population to Births, because the Births tap is dependent on the birth_rate and Population components. Note that now when you double click on the Births flow, birth_rate is now a variable in the top left pane that can be used in the Births algebraic formula. 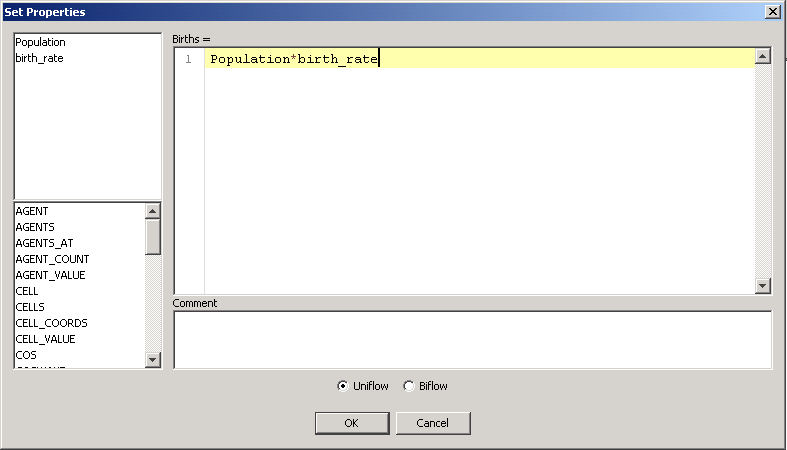 Next, in a similar manner we’ll connect Population to Births: Select the arrow component, click on the Population stock, then click on the Births flow. There should now be a red arrow connecting Population to Births. Double click on Births. In the large white box under ‘Births=’ you will enter in the formula for Births. To add variables to the formula, click on the variable name in the top left pane of the properties window. 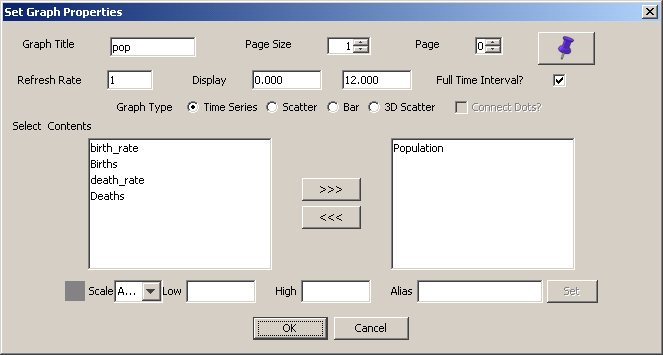 So first click Population in the left pane. ‘Population’ will appear in the large white formula box, representing whatever value is coming out of the Population stock. 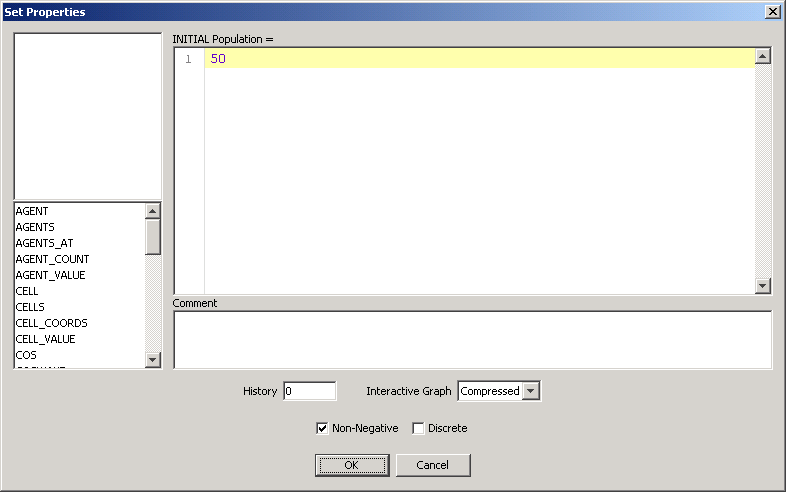 Next manually type in ‘ * ‘ after Population to represent multiplication. Connect the death rate term to the Deaths flow with an arrow. Connect the Population stock to the Deaths flow with an arrow. Double-click on the Deaths flow and enter the following equation: Deaths = population*mortality_rate. This flow should also be a uniflow, rather than a biflow. Now we need to set initial conditions for your population stock, AKA we need to decide how many individuals are in this population at the beginning of the model, before it is run. For the sake of this model, let”s say we start with 50 individuals. Now lets add a graph so we can see our population change over time. Click on the canvas below the rest of the model to place the graph. You want the graph to display the changes in population over time, so under “Select Graph Contents” in the left-hand pane, click on “Population” and then click on the >>> button. 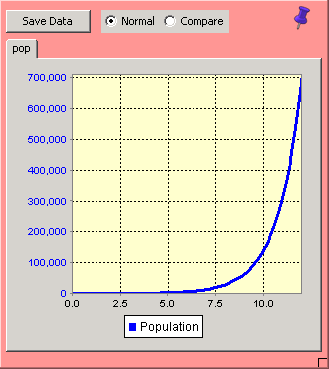 Population will now appear on the right as a graph content.